From a starring role in WB Networks’ Gilmore Girls as the bad boy everyone wants to date, to a surviving a plane crash in his new movie, Flight of the Phoenix, to starring on the CW hit Supernatural for years, San Antonio native Jared Padalecki opens up about his own entourage, defines luxury, and also what it’s like to star with Alexis Bledel and uh, Paris Hilton. Movies. Television. 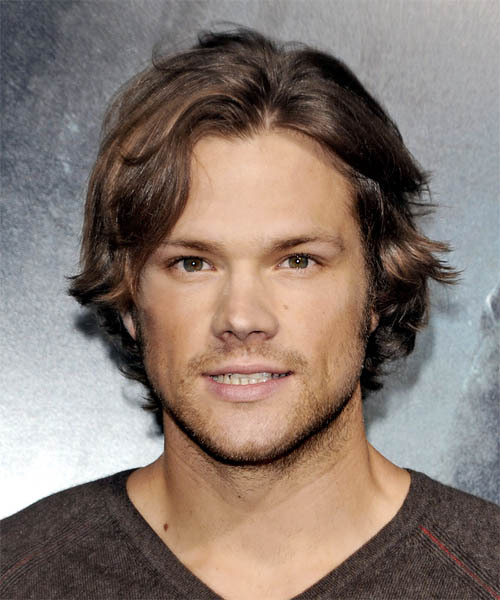 Jared Padalecki has got it going on. This guy is taking the Hollywood by storm because he’s seen by millions of viewers each week on the WB hit, Gilmore Girls - he’s the teen set’s new boy d’jour. You also know him as the fellow who rescued the Olson Twins in this summer’s hit, New York Minute. To top that, he has several more films that will be released this fall and spring. And to think it all began with a national talent search that sent Padalecki on a fateful trip to Hollywood - he auditioned in a local Planet Hollywood and won the chance to be a trophy presenter for the first Teen Choice Awards. That summer before his senior year of high school, Padalecki appeared on the awards show and caught the attention of a talent manager. And the rest is becoming La La Land history. LAM: Competition is fierce in L.A. You know about that since you beat out over 7000 entrants to win the 2000 Presidential Scholar Award for the National Foundation for Advancement of the Arts – that’s some audition – was that a big boost? JP: Sure, but the only person you ever really have to be better than, is yourself. LAM: In Flight of the Phoenix, you starred with another fellow Texan, Dennis Quaid, where you two survive a plane crash in the Sahara desert. What’s the best part about making films to you? JP: This was the first film, (before House of Wax) where they really created another world. It’s awesome to completely be enveloped in the world of the movie. I mean, we were in the middle of the desert, in Namibia. All the actors actually slept out in the hull of the plane to get us into the world of the movie. LAM: Did you have fun working with Paris Hilton in House of Wax that will be released next year? JP: She can be serious when she wants too, but she definitely knows how to have a good time too. LAM: Jared, you’re working with the sensational Alexis Bledel, too. Two Texans on a hit TV show – what’s that like? JP: It’s always cool to have someone from your home state. LAM: I hear you have your own entourage, like in the hit HBO series of the same name. Is it important to surround yourself with people you trust in Hollywood? JP: It’s critical. My house has become a crashing ground for a bunch of my closest friends. But they all have their own lives. It’s just become a circle of people I trust - and who were friends from when I moved here. LAM: Since you’ve hit the big time - what luxury have you indulged yourself with lately? JP: I bought a house. My favorites in it are the ping pong table, and pool table in my family room. No room for a couch. LAM: What's always in your refrigerator? LAM: Is alone time a luxury to you? How do you keep your eyes on the prize in a hectic showbiz world? JP: One day at a time. LAM: Who's been the biggest acting influence on you - a star you discovered as a kid who's really inspired you? JP: I know he's young too, but Matt Damon's performance in Good Will Hunting is one of my favorites. LAM: Any advice on breaking into Hollywood? LAM: We're rooting for you and for more great success headed your way. What's your life motto that keeps reminding you of what you can achieve? JP: Thanks so much. I can't wait for my movies to open. I think my life motto is just to be good to yourself and your family, and let whatever comes to you, come to you. You can’t control life.